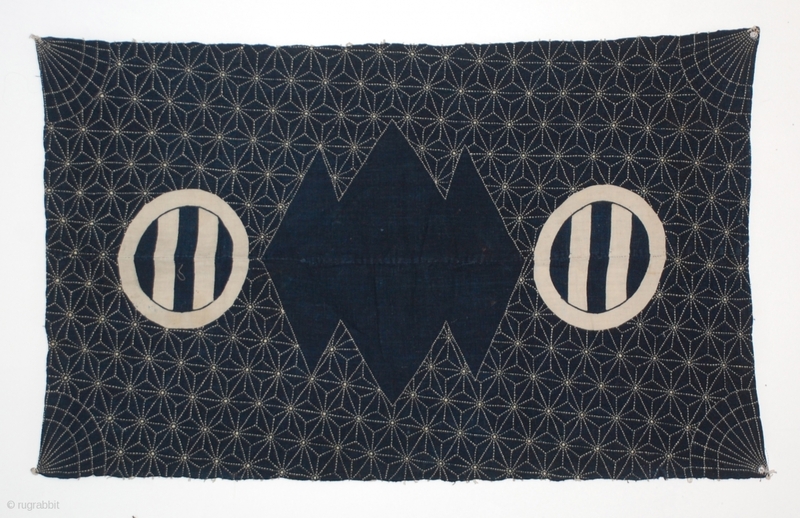 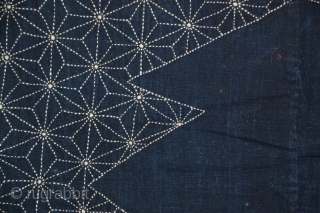 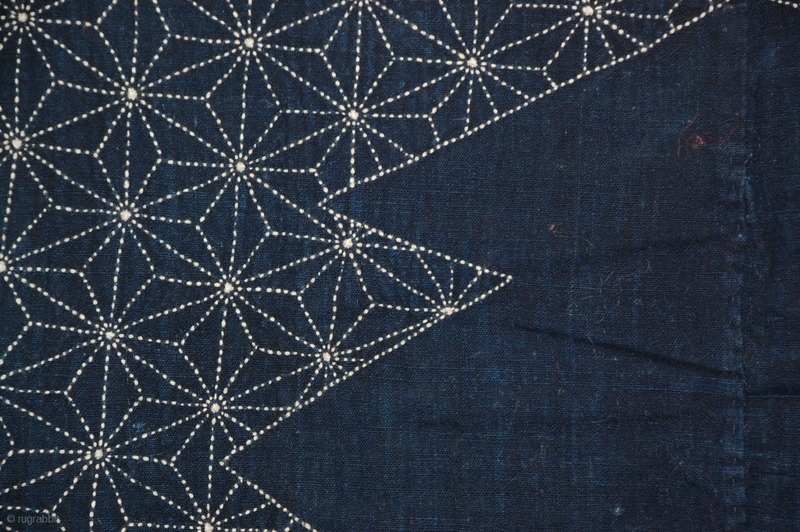 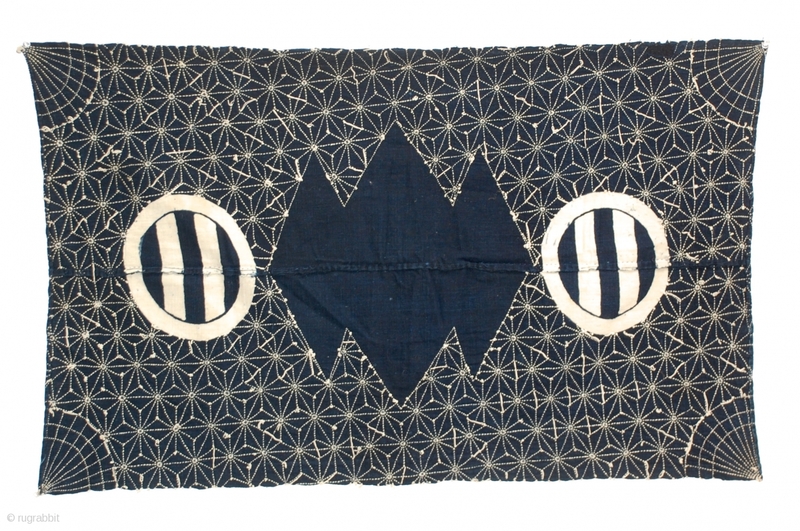 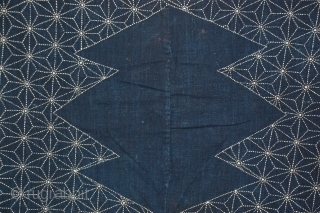 Sashiko Furoshiki with beautiful detailed sashiko (quilting) on front and seen on back, of indigo hand-spun cotton. 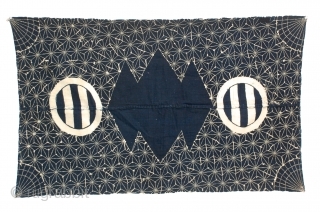 Japan, early 20th century and in excellent condition. 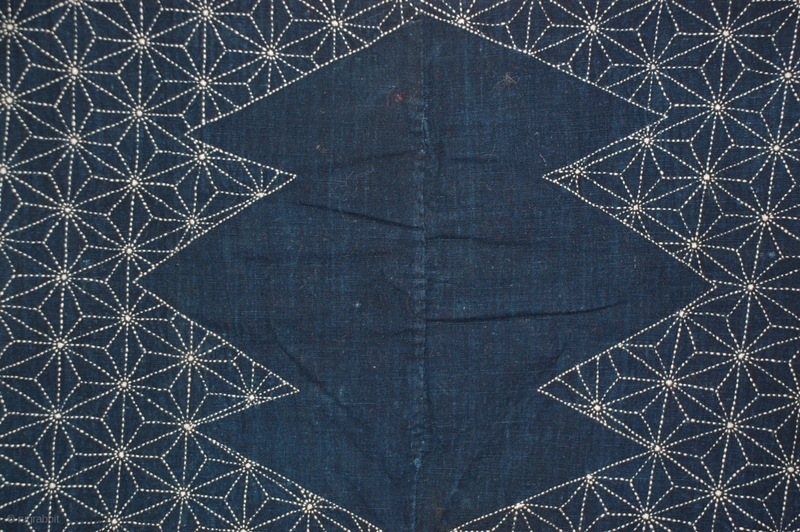 38" x 24"